Amazon Artificial Grass are Ireland's Silver Partners with TigerTurf Landscape Lawns. TigerTurf is the leading worldwide manufacturer of synthetic grass surfaces for residential, commercial, pet, and sports landscapes. Amazon Artificial Grass and Amazon Landscaping, the exclusive distributor of TigerTurf in Ireland, showcase the full TigerTurf range on display at our New Landscape studios and Turf Showrooms @ 14 Kenilworth lane, Rathgar. TigerTurf landscape range is not only aesthetically realistic, it can also withstand extreme foot-fall and the most severe Irish weather conditions, making all of our turf ideal for any landscaping project. TigerTurf have designed, manufactured, and achieved premium high performance synthetic turf by applying Professional Sport standard innovative research and development methods to each and every artificial grass. TigerTurf has 32 years of leading the industry. When you choose TigerTurf artificial grass, you value high quality realistic grasses that last. TigerTurf artificial lawns and Golf Greens provide superior quality and ball roll. You can choose which type of synthetic grass you require for areas such as rough and tee boxes. Installing your practice green in your home Garden or business, will allow you to improve your game in your spare time. Your Golf Green will be smooth, durable and realistic to play on. If you have any more questions about design and installation, contact us anytime. Impeccable Track Record: TigerTurf production facilities are located throughout the Globe. TigerTurf have major operational offices across Europe and India. TigerTurf surfaces and products can be found in well over 85 countries around the world. This translates to millions of TigerTurf installations completed every year on any continent. Our universal efforts have created a world-renown reputation for high quality lawn products coupled with excellent aftercare service. Therefore, feel confident that when you buy TigerTurf in Ireland, you will receive only the best in both product and service. Advanced Technology: TigerTurf has gained the utmost respect within all channels of the Sport and Leisure industry. From homeowners, pet owners, installers, and yes, even our competitors. A Globally recognized brand because our unique capability allows us to surpass the industry standard without compromising our turf’s undeniable natural look and feel. TigerTurf offers a vast landscape range that caters to every synthetic grass need imaginable, we are able to cater to all installation scenarios. From pet lawns to the leisure areas, whatever your needs, TigerTurf can deliver. Comprehensive Warranty: Our rigorous quality control process is covered by our comprehensive product warranty which registers all aspects of our lawns. At TigerTurf, we pride ourselves in providing exceptional customer service, sales support and extensive product knowledge. Return On Investment: Synthetic grass, once the basic sport stadium alternative to landscape has now evolved into the top guaranteed solution for showcasing beautiful, durable grass year round. Our synthetic grass lines have developed into not only aesthetically pleasing and evergreen products, but they have also served great benefits for the natural environment while at the same time saving money. It is a well-known fact that on average people save between 50 to 60 percent on their monthly water bill. As well as monthly savings, your synthetic grass installation can help conserve water and keep hazardous pesticides out of the water table. Unprecedented Quality: TigerTurf continues to exceed the international sports performance standards for the top athletic regulation boards, including FIFA, ITF, IRB and World Bowls Golf Greens Approved by PGA . Our product lines quality, performance and safety features are independently tested and certified by global sport federations so your synthetic turf will perform every year for every game and garden. Astro Turf is an ideal sports surface for all weather pitches. It can be used in many sports such as GAA, Golf, Soccer, Tennis and Athletics. 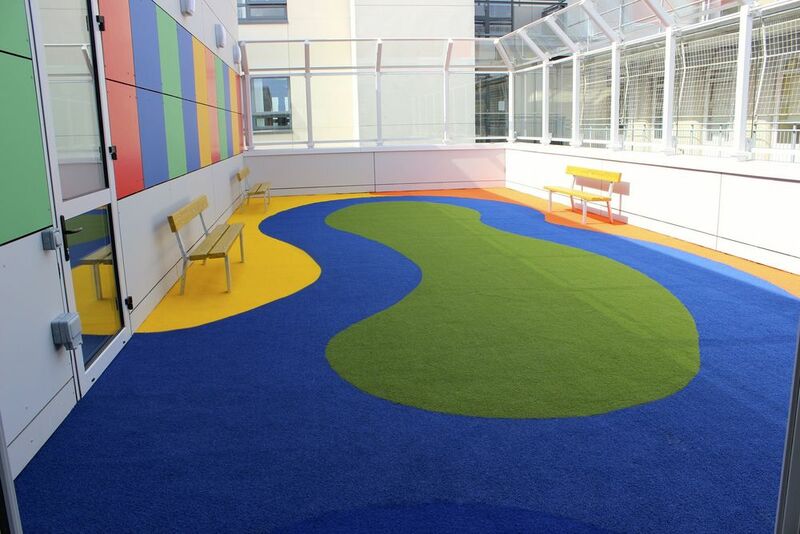 This type or durable all weather surface is installed in many Colleges and Universities throughout Ireland. Astro Turf is superior to conventional grass pitches because it is extremely durable, requires less maintenance and is also a lot more cost effective. If you need any advice on what type of Astro Turf pitch would best suit your sport then please feel free to contact our experts anytime! The ultra realistic yarns of Finesse are the purest choice for a natural looking lawn. A FRESH AND NATURAL LAWN it has been a favourite choice of clients throughout the years. Finesse is ever popular with our customers and demand continues to grow. If you are looking for a fresh green lawn to admire and relax on Vision Plus is the turf for you. 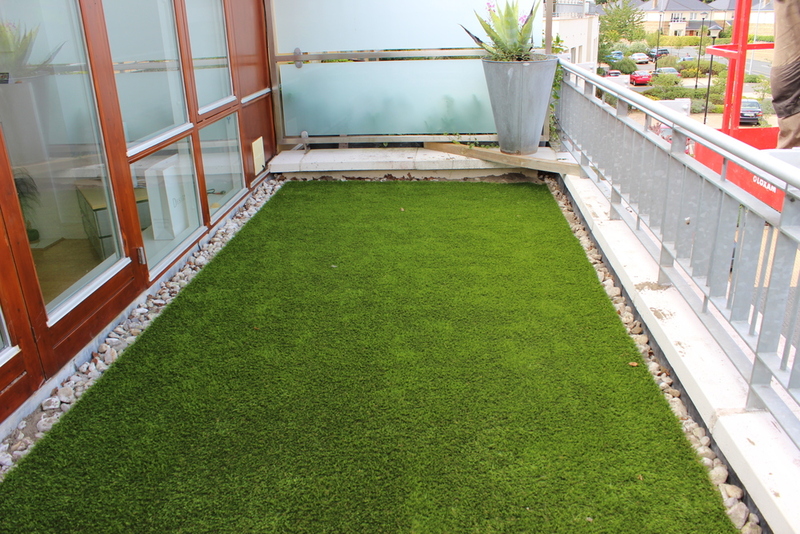 COMBINING A NUMBER OF GREEN TONES and multiple blades of grass, Vision Plus offers a lush, soft and healthy looking space. MANY COMMERCIAL USES AND DOMESTIC LAWNS. Podmore is suitable in heavy traffic areas as it has strong hardwearing fibres that effectively enhance the stability of the blades, presenting an outstanding green space. Recent Google Reviews for Amazon Artificial Grass! 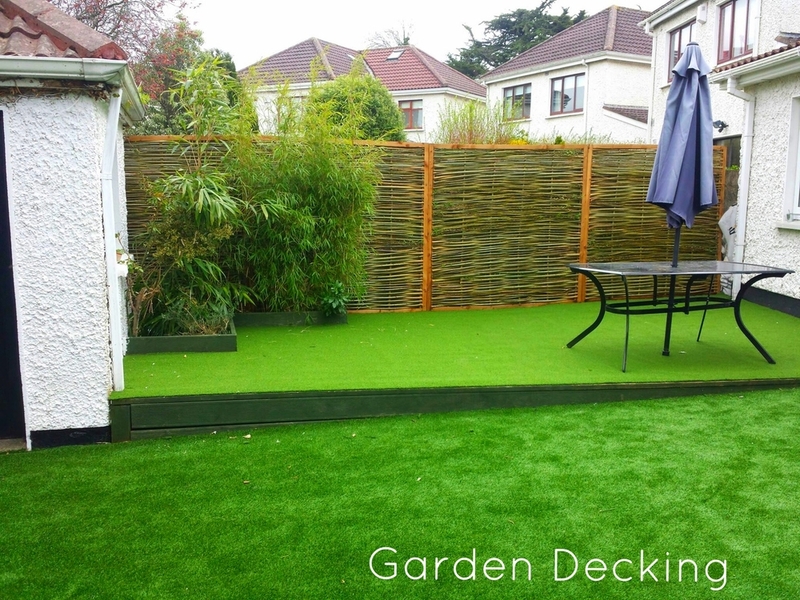 how to install artificial grass in an Irish Garden! Amazon Landscaping and Garden Design Website relaunch! Visit our Brand New Showrooms!! !